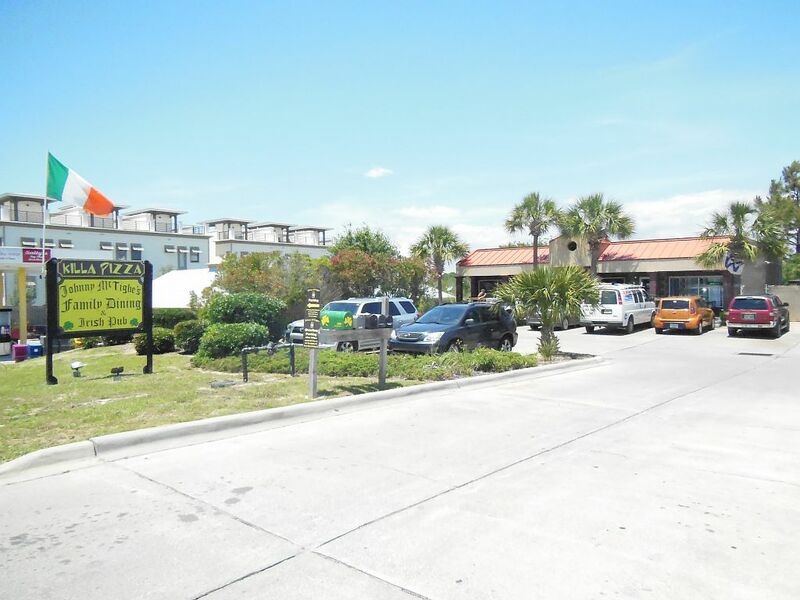 Last summer on his annual vacation to the Florida Panhandle, the Snob set out to visit all the pizza joints on or around County Highway 30-A, the two-lane beach road stretching 10 miles from Santa Rosa Beach on the west to Rosemary Beach on the east. This update to last year’s report finds me at one new place plus another that I missed last year. 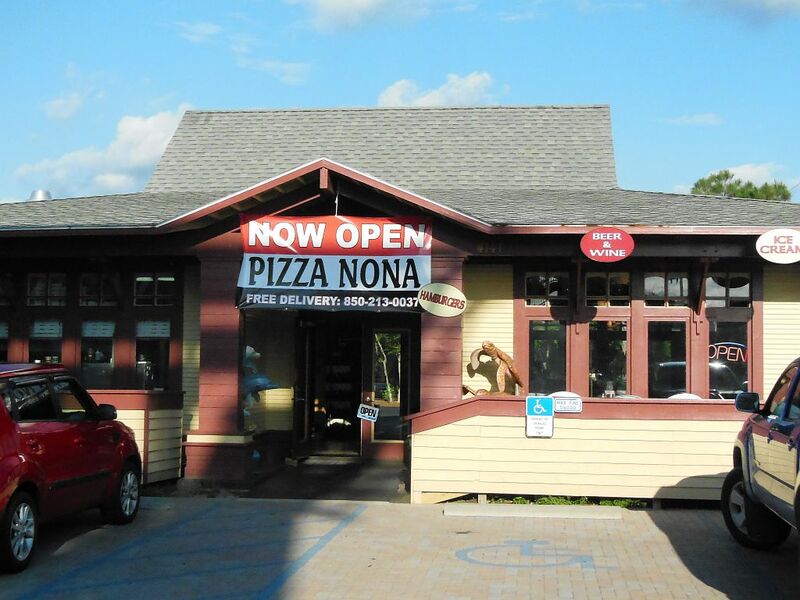 Arriving in Seagrove Beach, I immediately spotted a change in the landscape with Pizza Nona and its prominent “Now Open / Free Delivery” sign. 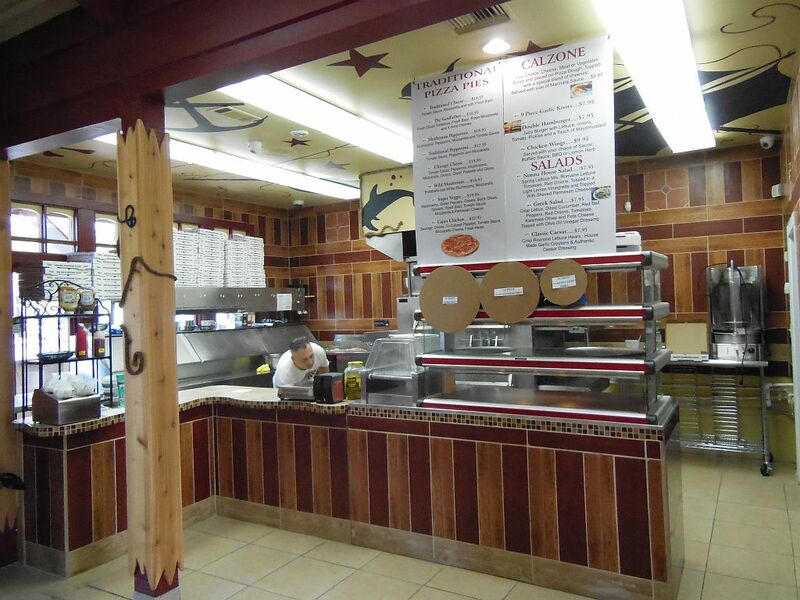 Located in a redesigned free-standing building, this joint devotes only half of its space to pizza, calzones, and salads. Using good beachside business acumen, it smartly offers ice cream, coffee, and smoothies in its other half. I got there on the early side of lunch to encounter the proprietor in the midst of some mopping duties. He greeted me kindly. Since it was not yet the season, they weren’t offering slices. So, I ordered a plain cheese pie to go (14 inch for $12.99) then watched him prepare it cooking it in a conventional pizza oven. Before bringing it home, I first went to the outdoor patio to gobble down a few fresh slices. I was a bit surprised at first glance since there appeared to be an obvious French flair to the pie; namely the braided crust and the sight and smell of sesame seeds baked into its end handles. Much like a pie I once had down in the French Quarter, this focus on the crust made it seem more like a pastry experience rather than a pizza one. On the other hand, despite being a break from tradition, it was wonderfully fresh and delicious. Though the crust was thin and tasty, it was mushy and floppy when I held it in the usual way. To my dislike, it was also heavy on both the oil and cheese. I did enjoy my three flavorful small slices on site and came away thinking that Pizza Nona’s pizza was a special though somewhat off-beat treat. 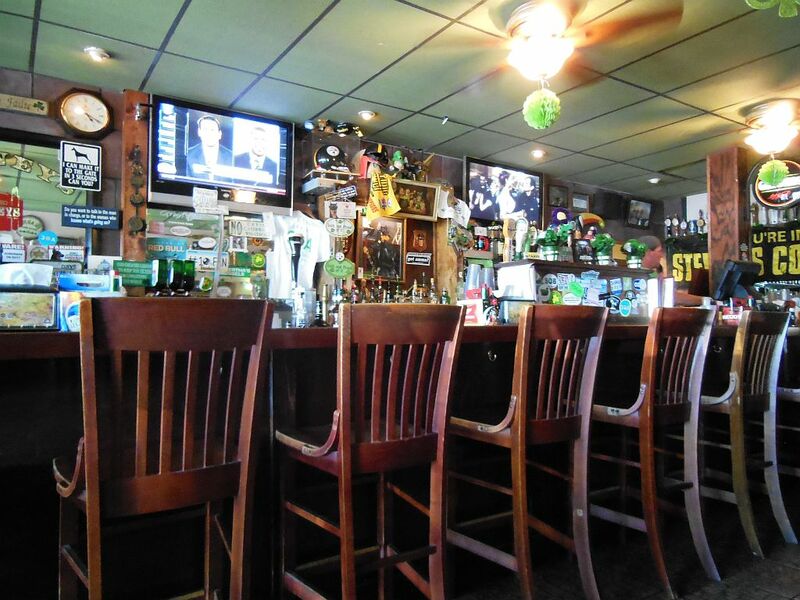 A few days later, I repeated my lunch time drill this time on the far eastern end of 30-A at Johnny McTighe’s Irish Pub. Last year, I spotted their “Killa Pizza” sign outside their small strip center location. 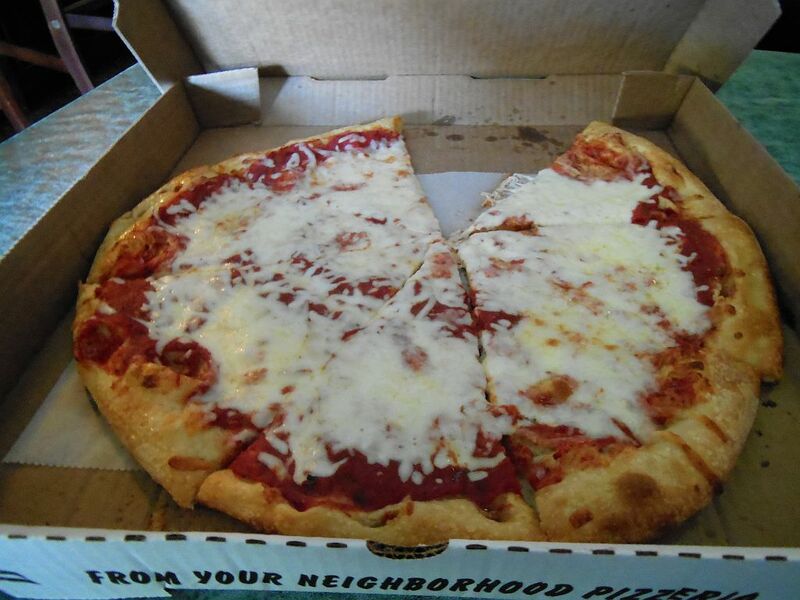 This local bar serves pizza along with a wider menu usual Irish pub fare. Their main barroom has a few wooden booths and is sandwiched between a spacious family dining room and a kid-friendly game room. 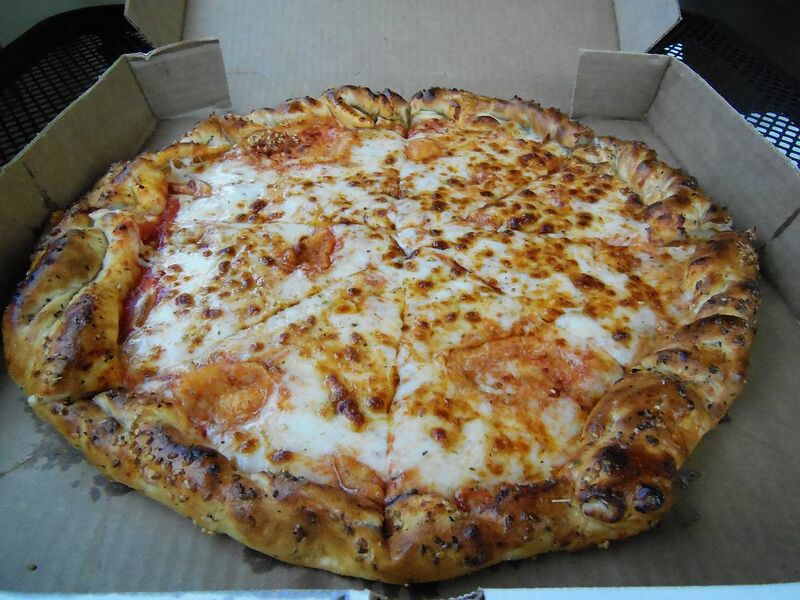 I ordered up a 16-inch plain cheese pie for $13.99 (cash only) to-go since they did not offer slices. I then waited in the bar area watching the previous night’s sports highlights on one of the three flat screens that hung above the bar. Their pie was a bit startling at first glance revealing an unbalanced color slant of white over red. It was simply a case of excess cheese not blending in with the tomato sauce. Although it was thicker than my liking, the slices surprisingly had a “hold and fold” crispness to them. They still could have been crispier with less end crust; nonetheless, a good folding slice like this is somewhat a rarity on 30-A. The pair of slices I freshly sampled at their bar tasted much better than they looked. They were hot and tasty, and their ingredients were fresh. However, the unseasoned tomato sauce was perhaps too sweet and left a slight foreign aftertaste. All in all, since Johnny McTighe’s pie was cooked so well, if it were thinner and trimmer, it wouldn’t be far from being a classic slice. When I return to the area, I will probably give them another chance.